In the 127th State Level Bankers Committee (SLBC) meeting HP Chief Secretary, Sudripta Roy said that the State Government has decided to start Direct Benefit Transfer scheme (DBTS) in two more districts i.e. Solan and Kullu from July 2013, in-line with four other districts of Bilaspur, Hamirpur, Mandi and Una, where the scheme already exists, with the purpose of minimizing the pilferage, duplication and leakages in distribution of cash benefits to the ultimate beneficiaries under various schemes including payment of Social Security Pensions. He said that the benefits would be directly released in the bank accounts of the beneficiaries through Aadhar platform and would bring more efficiency and transparency in the system. He however stressed the need for re-engineering various steps relating to conceptuality of the scheme digitizing data, enrollment of Aadhar and opening bank accounts etc. He expressed satisfaction that the banks in the State had surpassed five National parameters out of six stipulated by Reserve Bank of India and during the year 2012-13 and had made fresh disbursement to the tune of Rs. 6260 crore to as many as 3.34 lakh new beneficiaries thus achieving 93 percent of target upto December, 2012. He said that the decisions taken by the Government must be implemented in right perspective for the welfare of common people and also support infrastructural facilities, particularly the initiatives announced in the Budget relating to banking sector. He also detailed about the various schemes and said that bankers should come forward for fixation of new scale of finance for organic farming to support the progressive farmers and horticulturists of the State. Besides, the Banks should enhance the flow of Educational Loans on easy terms. 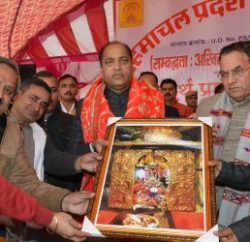 Roy appealed to the bankers to also utilize the services of Lok Mitras Kendras presently functioning in both urban and rural areas of the State. Conveying happiness of the increasing business of banking sector in Himachal Pradesh, Chief Secretary said that the business of banks in the State had grown by 21 percent and as many as 236 unbanked villages had been covered by banks by engaging Banking Correspondent Agents (BCAs).Besides, six villages were covered by Brik Mortar and Ultra Small Banking outlets for providing banking services to people upto December, 2012 and installing more ATM’s to facilitate the people, said he. He said that these banking agents would visit villages to cater the needs of the people. 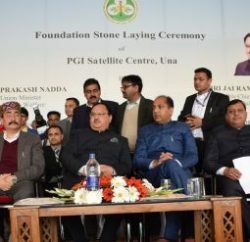 The State was having a network of more than 1634 branches and the convener bank had proposed for setting up Call Centers in urban areas and establishing of farmers Resource Centers in Rural areas of the State, said he. Earlier, B.Venkat Ramana, General Manager UCO Bank and Convener SLBC, welcomed the Chief Secretary. Speaking on the occasion, Venkat Ramana said that the banks had extended the banking facilities in all villages having more than 2000 population and a massive roadmap had been prepared to cover 20016 unbanked villages under the guidelines of Reserve Bank of India. He said that new schemes like Subsidy on LPG and distribution of Social Security pension would be covered under DBT. Besides, the banks have planned to establish ultra small branches and setting of ATM’s in the remote areas of the State. UK Mohanty, General Manger NABARD said that the potential worth of Rs.9842 crore had been worked out for providing fresh loans by banks during 2013-14. 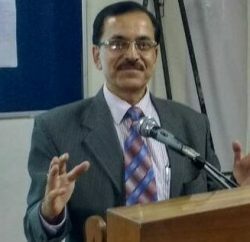 Prof K.R Dhiman, Vice Chancellor, Dr.Y.S Parmar University of Horticulture and Forestry also spoke on the occasion. U.C.Sharma, Deputy General Manager, UCO Bank conducted the proceedings of the meeting. Senior Officers of The State Government, representatives from different banks, Lead Bank Managers from all over the State were present on the occasion amongst others.